The matter in the universe is divided into “normal” matter and the invisible dark matter. However, measuring the normal matter in nearby galaxies, scientists have found that they contain three times less normal matter than expected. For instance, our Milky Way contains less than half the expected amount of matter. A plausible hypothesis is that the missing matter does not lie within the bulk of the galaxy, that is easily observed in the optical, but instead lies within hot, spherical haloes of gas. These regions however, are hard to observe even at X-ray wavelengths. 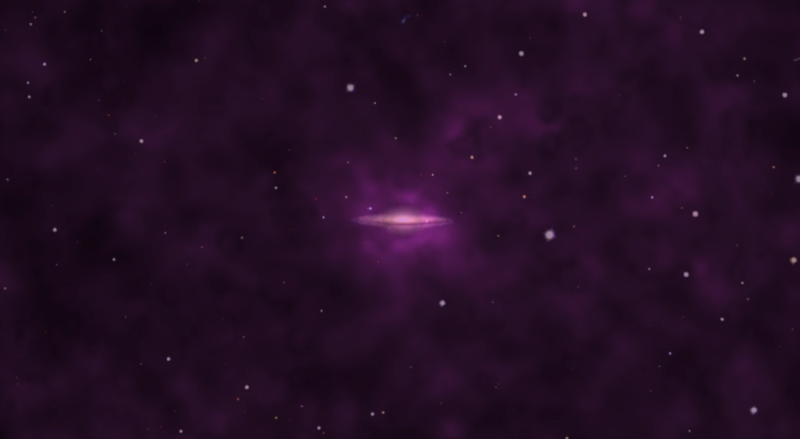 In a recent study, astronomers used ESA’s XMM-Newton X-ray observatory to look at six spiral galaxies and measure their hot gas out to large distances. In this way, they were able to detect the X-ray emission about three times further out compared to observing a single galaxy. Their analysis revealed that the hot gas halos did not contain all of the missing matter. Two alternative scenarios could be the solution to this mystery. Either the matter is located in another gas phase that is hard to observe or in a patch of space the is not covered by our current observations. ESA’s new X-ray telescope, ATHENA, could help us unravel this mystery!